Athens-based artist Evi Photopoulos is a renowned, international visual artist, illustrator and video artist from Greece. 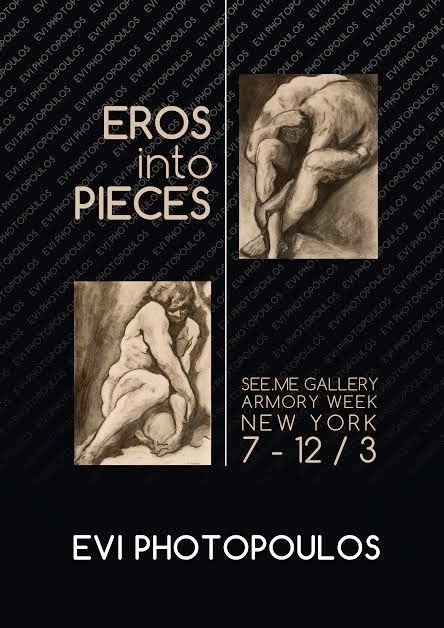 She is exhibiting her collection 'Eros Into Pieces' at the See.Me Gallery during Armory Week in New York March 7-12, 2o14. Armory Week is an international art event, and every March, artists, galleries, collectors, critics and curators from all over the world make New York City their destination. The See.Me exhibition space is located at 26-19 Jackson Avenue in Long Island City, NY 111o1. Photopoulos attended the London School of Contemporary Arts where she developed a wide range of creative disciplines, and attended numerous art workshops at the Tate Modern. She currently has a collection of artworks on display at Nina Torres Fine Art Gallery in Miami, Florida. She has participated in a myriad of international art fairs and art biennales, in addition to countless solo and group exhibits and shows in galleries across the United States, Asia and Europe. 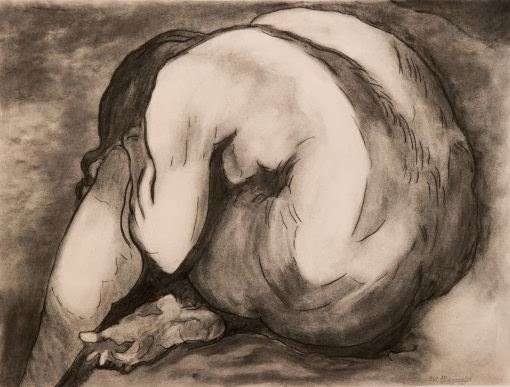 Her works are held in private collections in many countries and museums worldwide.